It really is a great time to be alive for those with a dairy-free diet as the dairy alternative sections of most supermarkets are growing month-on-month, and there's an overwhelming selection of plant-based milks. It can be a little but of a challenge working out which one is best suited to your taste, but I've found my personal favourite to work with is definitely coconut milk. As well as being a delicious addition to your morning latte, coconut milk can also be used within a number of vegan friendly recipes. I've whipped up a few recipe ideas to hopefully inspire you to use coconut milk within a few new (seriously easy) recipes rather than dairy. 1.) Divide the sliced fruit and chopped herbs amongst the moulds evenly. 2.) Blend the coconut milk and icing sugar in a blender and pour over the fruit inside the moulds. 3.) Leave overnight (or 6 - 8 hours) in the freezer to set. Easy peasey! 1.) 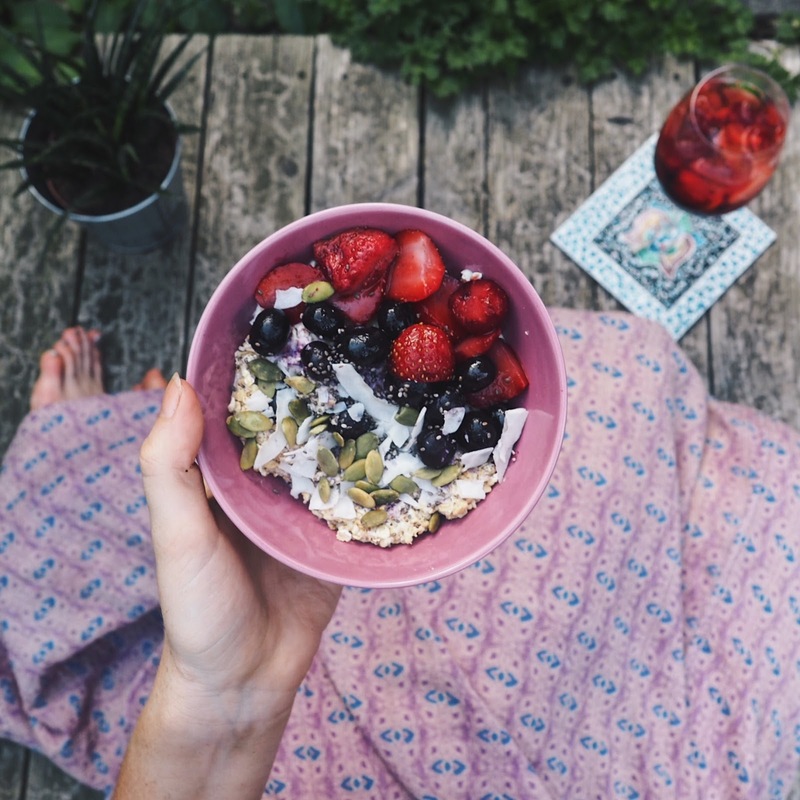 Mix the oats, yoghurt alternative, coconut milk, and berries into a jar or tuppleware and leave overnight to soak. 2.) Empty into a bowl in the morning and sprinkle with the pumpkin seeds and coconut flakes. When I said they were seriously easy recipes, I really meant they are seriously easy. If neither of these sweet treats appeal to you, why not check out Alpro's dairy free ice cream range? They currently have three flavours available, including coconut, chocolate & hazelnut and vanilla, each made from different dairy alternatives. They make the perfect guilt-free, animal friendly option for devouring whilst binge watching a new TV series on Netflix. Sounds perfect, right? Disclaimer: I was sent a selection of Alpro's new coconut and ice cream range, but all opinions are my own. 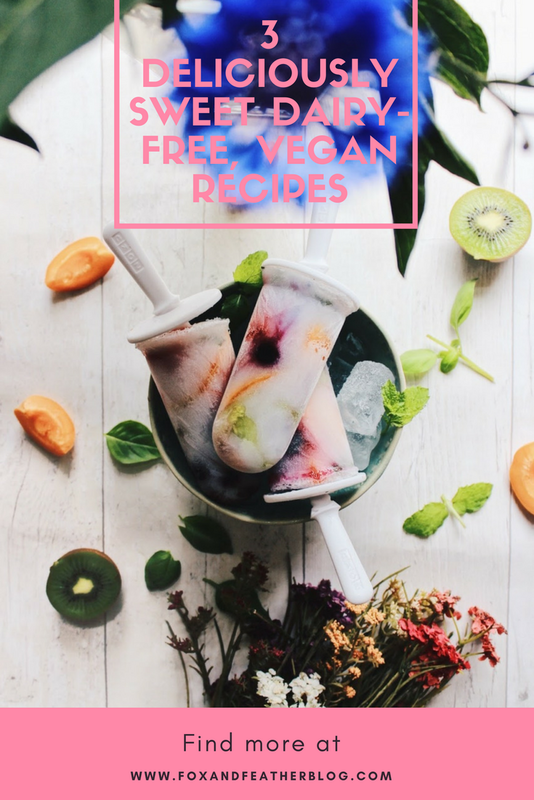 Well aren't those the prettiest ice lollies I've ever seen in my life 😍​ I've been looking for more dairy free treats over the last few months so this post is perfect. 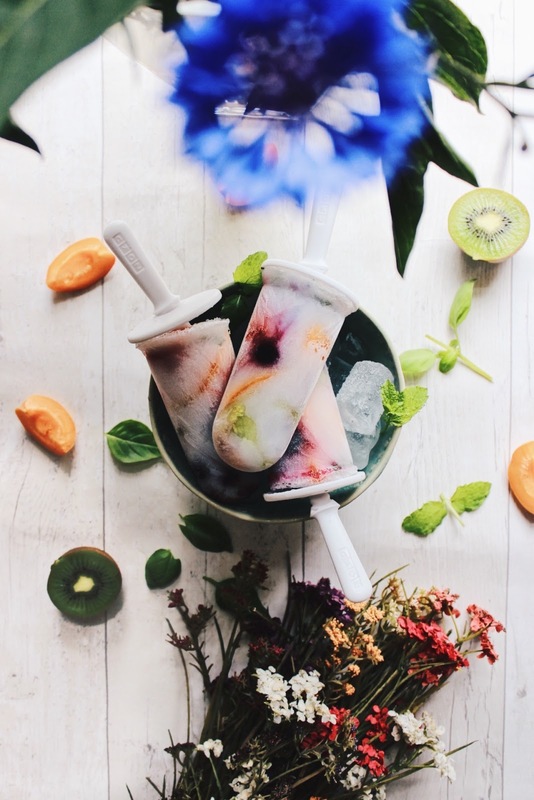 SO looking forward to making some of those ice lollies for when the next batch of warm weather comes around!